What is an iota? You need to know. [ he said modafinil south africa price 17] “Think not that I have come to abolish the law and the prophets; I have come not to abolish them but to fulfil them. For truly, I say to you, till heaven and earth pass away, not an iota, not a dot, will pass from the law until all is accomplished. Whoever then relaxes one of the least of these commandments and teaches men so, shall be called least in the kingdom of heaven; but he who does them and teaches them shall be called great in the kingdom of heaven. This is not some small side note; Jesus is revealing this Truth early on in His great Sermon on the Mount (called by some, as the most widely commented upon piece of writing of all time). Jesus is giving this teaching great prominence: when Jesus emphasizes something, we should pay close attention. “I have not come to abolish them (the law and the prophets) but to fulfil them.” Here, Christ is referring to the Mosaic Law and the Old Testament prophecies. Here, it is important to note, that Jesus is speaking of the moral Law (the Ten Commandments) and not the sacrificial laws of the OT (In His Sacrifice on the Cross, no other sacrifice is worthy nor effective). Jesus says He has come to “fulfill them”. The word translated as “fulfill”, in the Greek, means “to make complete.” Jesus completes the Law by giving it its full meaning, as He explains in the balance of the Sermon on the Mount and beyond (see “You have heard it said…”; in each case, Jesus is explaining the higher meaning of the Law). The requirement to keep the Ten Commandments remains in place as Jesus strongly underscores in this passage, and in others (Matt 5:21, 27, 43, 19:17). 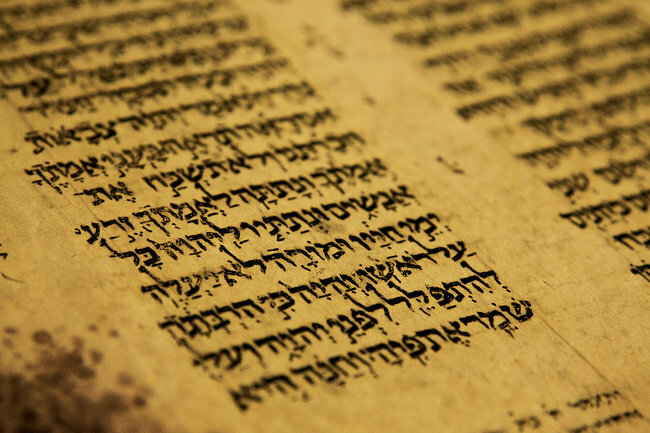 An iota is the smallest letter of the Hebrew alphabet (called, a yod). A dot is a tiny extension that distinguishes similar-looking Hebrew letters from one another. This should cause some nervousness; Jesus is suggesting that not only does the Law matter, but that He is telling us to keep the Law with incredible precision. Luckily, Jesus has promised us the outpouring of the Holy Spirit to help us. And given that we ought to be paying attention to ‘iotas’ and ‘dots’, we need all the help we can get.